Yes, we totally think it sounds like a good idea to hunt down strange mythical beasts, because why not, right? In the Big Foot Slot, you can take a shot at tracking down the large footed monster as you make your way through the wilderness, and hope that your wanderings will let you stumble across some cash rewards, too. 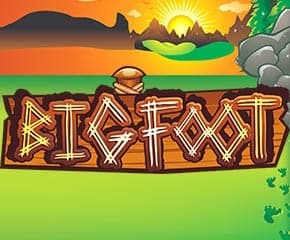 Big Foot Slot is a game from NextGen, the gaming company that has always sent ripples through the online casino world with their high quality selection of slot games. This slot game is excellent for play on mobile, so you can always try it out on your tablet device before you check it out on the desktop. Big Foot Slot has 5 reels and 25 paylines. The game sees you, our intrepid casino slots player, setting up camp in the North American forests so that you can sit around and see if you can catch a glimpse of Big Foot. Once you have decided how much you want to wager on the spins, you can spin the reels so that you can see how much you have the possibility to win. You can strike it rich if you manage to find five of the Big Foot signs, thus meaning that you have also managed to reach the end of your hunting expedition. This will give you a payout of 5000x your wager and is what will let you crack the game’s jackpot. Big Foot Bonus: If you get three or more of the Big Foot signs, you can activate a mini game, which is a pick and choose game. In this game, you have to click the creature eyes that you see, in case any of them turn out to be Big Foot. If you do not get him, you can still earn yourself a nice little payout in the game. Free Spins: The footprints of Big Foot are the scatter symbols in the game. If you get at least three of this you can get into the free spins round of the game. This gives you a chance to get double of your wager amount as you play. You can get as many as 10 free spins in this way. 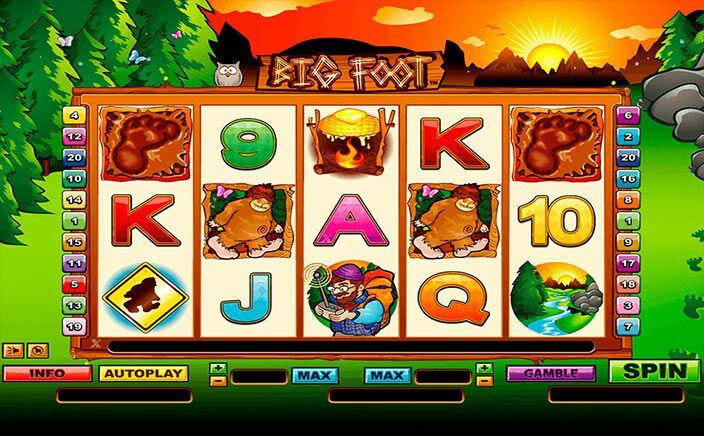 With its cute little graphics and fun little mini game, the Big Foot Slot is entertaining enough to play. The game does get a tad boring after a while but the jackpot of 5000 coins is what will keep you going until you manage to get the big win.